Dr. McGee joined the University of St. Augustine in 2004 as a contributing faculty member for the Master of Occupational Therapy Program. She has increased her role at the university over the past several years and now is part of the full-time faculty team. 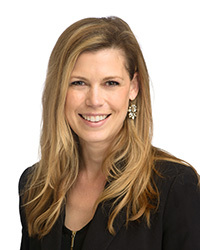 She has over 10 years of experience in occupational therapy education and practice, and has enjoyed teaching courses such as biomechanical interventions, orthopaedic mock clinic, physical agent modalities, OT evaluation and assessment, and orthotics and prosthetics. She is a Certified Hand Therapist and is also Manual Therapy Certified. She has presented at state and national conferences, and is currently pursuing her PhD in Educational Technology. In addition to her faculty role, Elisabeth practices occupational and physical therapy at Florida Hospital Flagler, specializing in the hand and upper extremity.